Gosainkunda Lake Trekking is the site of an August full -moon festival, known as Janai Purnima, attendant by some 10000 religious pilgrims and jhankris (shamans). Legend tells of Lord Shiva thrusting his trident into the earth from when these jewel-like lakes arose. 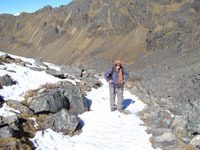 This route connects the Langtang Valley and Helembu treks via Lauribina La (pass). The Laurebina pass is generally snow and ice during January and February. 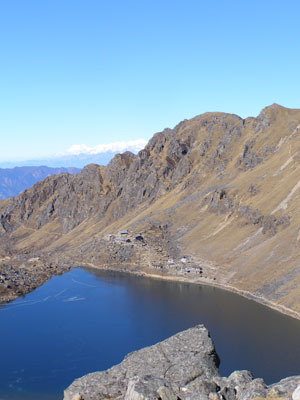 The Gosainkunda Lake is a high light of this trip. Day 02: Sightseeing at Patan and Swayambhunath. Over night at Hotel. Day 04: Dhunche to Sing Gompa also called Chandanbari (3300 m). 5 hrs . 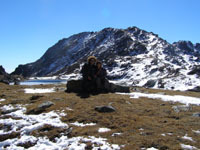 Day 05: Sing Gompa to Lauribinayak (3900m) 3 hrs, lunch and 3 hrs trek to Gosikund Lakes (4380 m). Great Himalayan views if weather permit. 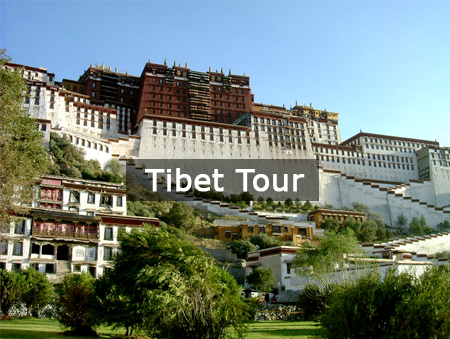 Day 06: Visit around SurayaPeak and cross Laurebina pass (4610 m) to Ghopte (3430 m). 6 hrs trek. Snow flurries can obscure the trail. Day 07: Ghopte to Melamchigaon ( 2530 M). 6 hrs trek. Day 08: Melamchigaon to Tarkeghyang ( 2600 m), 5 hrs trek. Day 09: Tarkeghyang to Sermanthang ( 2590 M), 5 hrs trek. Day 10: Sermanthang to Melamchi Bazar (870 m). Step down and 6 hrs trek. Day 11: Melamchi Bazar to Kathmandu by 6 hrs local bus ride. 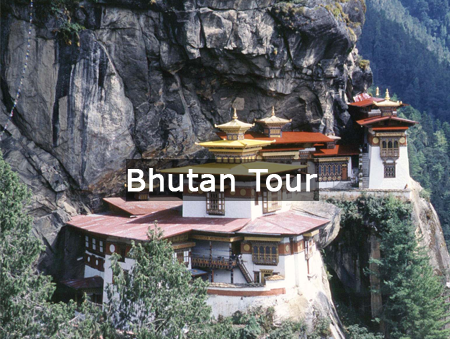 Day 12: Sightseeing at Bhaktapur, Pashupatinath and Bhaudhanath. Day 13: Drive to airport for departure.